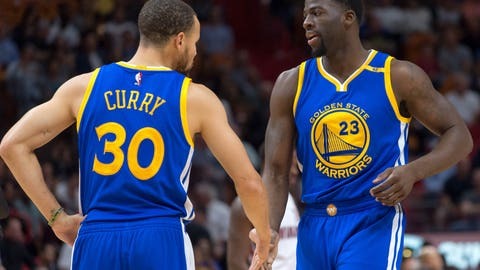 The Golden State Warriors will look to keep their momentum rolling when they take on the Sacramento Kings on Saturday night. It’s that point of the season where the NBA All-Star Game is around the corner and the Warriors are getting hot at the right time. After another win over the Los Angeles Clippers on Thursday night, Golden State continues to add to their lead in the Western Conference. On Saturday night, they can get another win when they hit the road and take on the Sacramento Kings. For those interested in watching the Kings and Warriors on Saturday night, the game can be seen on TV on CSN Bay Area and NBA League Pass for out of market fans. The NBA League Pass also has a live stream option and can be watched online. A subscription will be needed for that. Here’s all the information you need to watch Stephen Curry try and take down the Kings. Details are below. The Kings will be on a back-to-back after falling at home to the Phoenix Suns on Friday night. After they were in the playoff race for the eighth seed, the wheels have to started to fall off for Sacramento and they are struggling once again. Golden State made some noise of their own on Friday. The team waived center Anderson Varejao and signed D-League standout Briante Weber. The 24-year-old guard has experience in the NBA level and can provide further depth and defense at the point guard spot for Golden State. The Kings are reeling after a tough loss and this is a great time for Golden State to jump on them. What will be interesting to see is if the Warriors can get Draymond Green and other guys healthy for Saturday night. They might also just try to get the win over a struggling team shorthanded. It wouldn’t be surprising with Shaun Livingston ailing to see Weber come in and provide minutes right away. He has proven he can step in when called upon in the NBA and this might be another steal of a find for the Warriors. At 43-7, the Warriors once again are in range to make a run at 70 wins. While breaking their record from last year would be incredibly difficult, reaching 70 might be doable with 32 games remaining on the schedule.